My ATV2 arrived on Tuesday and I immediately set to task jail-breaking the machine as soon as I got it out of the box. I followed the instructions on ATVhacks but I had a few issues getting the ATV2 into DFU mode & broken. In retrospect this might have been because I still had my original ATV connected to iTunes. Eventually I got it to work. My way of getting to work (I think – I was getting desperate by this time) was to actually power up the ATV2 and connect it to my Mac Mini with a USB cable. Then I held “down & menu” for a couple of seconds so the light blinked fast and then back per instructions I held “menu & play” for seven seconds. By this point however, the instructions on ATVhacks didn’t really follow as my machine would not take the update in the way suggested. I was given the option of installing from the directory itself – this way worked for me. So after approximately 4 hours of fannying around I was finally ready to get on with the real job at hand. Before even getting to XBMC I installed Remote HD as I already had it installed on my iPad and Mac Mini. Installation was a breeze. Then on to XBMC itself. Installation instructions are found on the wiki and worked straight away, only things were that I didn’t need to install “wget” as it was there already and I got some “missing” message that was resolved by running “update” again before “install”. Now to switch on my ATV2 properly and see what was what. Since I had the latest iOS software I went into the audio settings and set output to 16bit opposed to auto – this was a know issue previously. I also added my timezone. The to start off XBMC for real. First impressions? Well I was using the same skin as on previous ATV (less a few modifications) but the UI seemed very jerky when scrolling through menu items. The RSS feed ticker was also very jerky. I managed to map my network drives to the machine but playback was pretty poor. Further reading led me to discover that the SMB method is pretty poor, so I fired up Majestic on my Mac and enabled upnp sharing. This worked better but that was the end of the day. Tomorrow I would do the nightly build install and see how this worked. Day two and immediately I shelled into my ATV2 and followed the update instructions to try to improve things a bit. Installation was easy though the initial download took quite a while. In addition again I didn’t need to get “seatbeltunlock”as I had it already?? Into XBMC and you could see definite improvements in the interface. A lot smoother – thank goodness! So, now to test a few things. Playback: I tested a few HD movies from my network. They are watchable for sure – a vast improvement for me on the ATV. However I seem to have a few sound issues. There are known problems in this area, so I think I will set debugging on an post information on XBMC if it helps. The sound issue also sometimes moves into the ATV2 itself – I have noticed exiting XBMC that the sound can go when say watching YouTube or similar streaming content there. IceFilms – standard definition TV shows now work as expected. HD movies or movies in general seem to suffer from stuttering and buffering. I am using a Wireless G network at the moment. LiveOnlineFooty works just as expected. Though there is an issue with initial playback. It seems to pause and then catch up at high speed then normalizes. This happened on the ATV too, but on the ATV2 this seems to last a bit longer. Not a big drama though. So last thing that I wanted to try was library mode. This doesn’t seem to be well supported on the ATV2 and certainly not when you are in upnp sharing mode. I am now trying to figure out how to create relevant meta data for this so at least I see the pictures – a bit of text would be good. 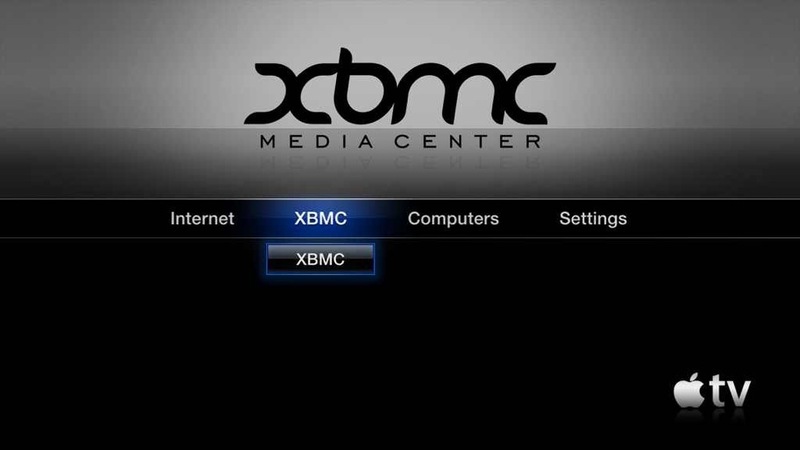 Overall, I think the XBMC team have done a great job on this and when I consider how far XBMC has developed since I first started using it, I am sure that it won’t take long before the ATV2 version of XBMC will be production ready.